Building Buddhism in Chiang Rai, Thailand. Building temples is building Buddhism. My project takes seriously the act of construction as a religious activity. Focusing on the construction of Buddhist spaces in Chiang Rai, Thailand since its repopulation in 1844, I utilize historical archival, and ethnographic methodology to track the importance of Buddhist aesthetics in the making of Buddhism itself. 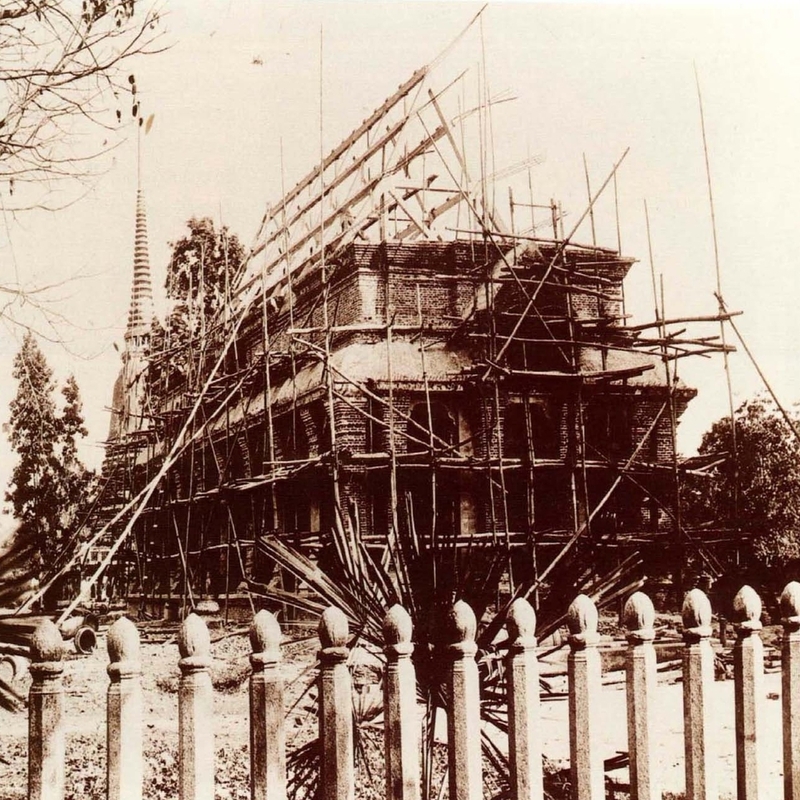 The specifics of Buddhist construction projects are analyzed to connect pre-modern, modern, and contemporary Northern Thai (Yuan) Buddhism. Foregrounding sima space consecration as an indigenous form of Theravadin religious construction, my dissertation argues that religious building projects are at the forefront of the Yuan Buddhist imaginaire, and are some of the main ways that Yuan Buddhists organize ritual activity, unify community, and create religious meaning. "Imagining" Boundaries: Sima Space, Lineage Trails, and Trans-Regional Theravada Buddhism.